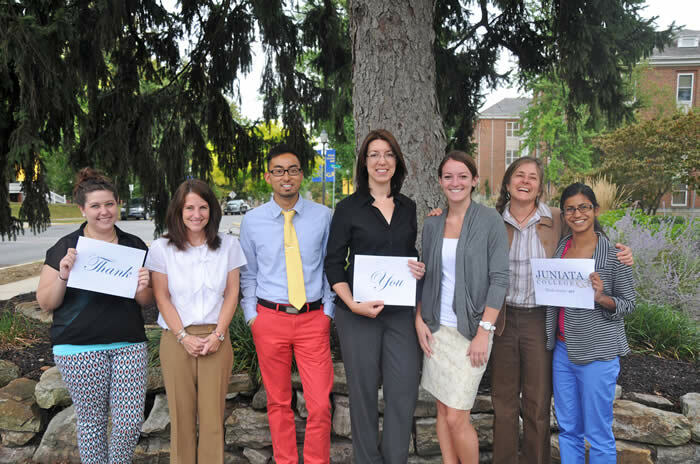 Thank you from Juniata's Admission Counselors and JAA! We are all ambassadors for Juniata College. We naturally want to share our college stories with others, and this introduction helps to spread the word about Juniata! Sign up here to learn when events are planned near you! If you want to do more, Juniata Admission Ambassadors (JAA) is the volunteer organization designed to help you take your commitment to a new level! To find out more details, visit the JAA Mission page. When you volunteer for Juniata, don't forget to report your hours.